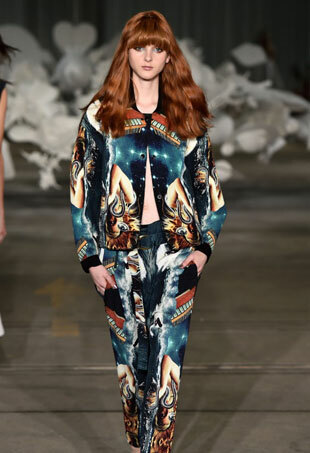 It makes sense that the label would want to unveil its debut range with a bang. See all the Cruise 2015 looks from the runway here. See all of our favourite looks here. They've been dropping hints for a while now. Day 4 at MBFWA wraps up with collections from Hayley Elsaesser, Ixiah and Alice McCall. Superheroes, sphinxes and a kaleidoscope of colour meet head-on in Alice McCall's vivid Pre-Summer 2013 campaign.